Cylinder molded developed plywood/epoxy. My first USCG certified passenger cat. Am sure Derek will froth if he hears about a 30 year old CM cat still going out every day. 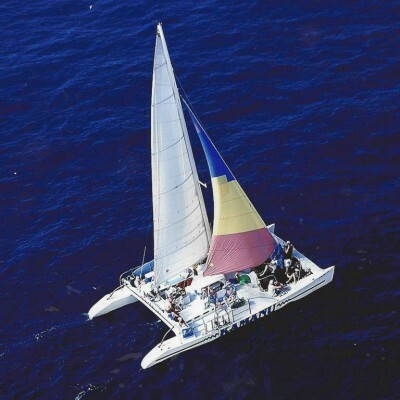 I always found the picture of Kamanu freshly constructed at Schooner Creek very inspiring. Nice to see it’s still out there earning it’s keep.